all the healthy, accessible & affordable things I love. Loni Jane is a QLD blogger and mum of toddlers who advocates a strict vegan lifestyle. Although I don’t follow veganism, I have learnt SO MUCH about food from Loni and her both her ebooks. Loni's approach to eating, the body, the family, home life and supporting local Australian farmers is great and it has really helped me to think differently about the choices I make for my family. This is the book that really helped me to take the leap into shopping at farmer's markets and focussing much more on a plant based diet for our household. It also includes an extensive weekly shopping, pantry and fridge list. To eat mostly fresh produce at all meals, cooked or uncooked. To eat and drink cleanly; water, fresh juices, smoothies, salads, cooked veggies, vegetable pastas. To eat and cook with plant based or plant sourced ingredients that are in their most natural state as possible (whole grains, brown rices, fresh vegetables and fruit etc). Limiting if not eliminating all processed foods or products. Not limiting fruit or vegetable intake even for children. Growing as much produce at home as you can, or have space and time for. Sourcing as much food locally as possibly. Respect the environment and recycle as best as you can. Encourage children to be actively involved in the families eating and healthy lifestyle choices. Buy produce in bulk when you can to save money and give you incentive to use it all. You can find Loni Jane at www.feelthelean.com where you can also purchase both of her E-Books, or on Instagram at @lonijane. Frankincense: good for calming, healing, promoting deep sleep. I diffuse it with lavender in the bedroom before & during bedtime so the kids go to sleep easily and stay asleep. I also apply it directly to my temples and shoulders before I go to sleep to help me wind down and fall asleep quickly. Mel also suggests using franki if you either don't know what else to use or only have that one oil. Lavender: a very gentle oil that can also calm, heal, promote sleep, ease irritations such as insect bites or sunburn. Also a great one to apply topically which is gentle enough for kids. I put a few drops of lavender oil on the kids pillows/ in the cot before putting them to bed and find it helps them settle easily while away from home. These are my top two which Mel (@essentialmumma ) has helped me learn to use regularly but there are SO many other oils we use all the time so have a look at her blog on our Essential Oils tab to read more or find out how you can buy some too!! If you are looking for a light hearted read that will have you laughing out loud about the mishaps of motherhood then this book is for you! I absolutely loved this book and have recommended it to many friends who aren't mummy's yet just for a good read. Six Under Eight is Madeline West's memoir of motherhood with six children under the age of eight years old, picking up the story at the end of her pregnancy with twins (and four children). She is married to the celebrity chef Shannon Bennet and is an actress and media personality in her own right and as a result leads a busy, bustling and full life. I am grateful for coming across this book not just for a fun read, but also for the encouragement and perspective shift it granted me when I was struggling with the adjustment from babyhood to toddlerhood with my first little one. FIRST little one, which was hilarious in the face of Madeline's adventures with SIX children under the age of eight! I am also grateful for the laughs it afforded me and the light hearted approach to motherhood it revealed that I often struggle to live out. I accidentally came across this book at a Christmas party with some of my best girlfriends. It was part of the secret santa pile that was opened and I was immediately envious of the one who opened it and got to take it home! Firstly because it had a pretty cover, but secondly as I looked through the pages over the shoulder of my lucky friend I decided it was a book I wanted to read for myself! So, I put it on my Christmas list and opened it the next week! I have read this book cover to cover multiple times, and like a few of my other favourite books it comes on holiday with me (much to the distress of my poor husband who has to lug it around in our bags). But it is so worth reading and refreshing myself on the principles of healthy, balanced living that we all agree and get on with carrying the bags. Jessica Sepel is a Sydney based clinical nutritionist and has a huge following on her blog and social media accounts for good reason. Her balanced and holistic approach to health and wellbeing is incredible and I actually have never experienced advice in these areas in the way she provides it! Jessica teaches that everything is about moderation, and finding what works for you while making it very easy and practical to live a healthy life nutritionally, emotionally and physically. Sometimes when I recommend the book to people I tell them to fully read the first part of the book so they don't focus on the recipes and think they know all the 'stuff' at the beginning. I think it is so important to be teachable in many areas of life and this is not an exception, the guidance at the beginning of this book is life changing if you allow yourself to be refreshed on some things and taught many new things through a new and gentle approach! I have learnt so many things from Jessica and I highly recommend her website, books, and social media accounts to anyone I get chatting to about health and nutrition. Her blog and instagram pages are some of the only ones I go back to (sometimes multiple times a day) to check if there is new content! I'm a bit of a fan. What I also love about The Healthy Life is that is so empowering-it really teaches you how to think, shop, plan and cook healthily for yourself and your lifestyle. It includes guides to make smoothies, over night oats, salads, and other things so you can learn how to combine all of the basic and important nutritional requirements for a balanced lifestyle into meals and drinks that you like according to your tastes. It taught me to slow down and the benefits of living a healthy and balanced life. It taught me to appreciate my body and what it is capable of (something I've never really understood or accepted). It taught me practical ways to eat healthily in an interesting but very very simple way. It taught me about moderation-that you might 'not eat' something like sugar but it's ok to decide on a day to eat something special and know that your body can cope with it. It taught me to stop feeling guilty about food and other related areas of my life. It taught me basic nutritional information and how to incorporate what my body needs into my diet. It taught me the importance of a holistic approach to health and nutrition, nothing is in isolation and everything works together. It taught me just how connected every part of our Spirit, body and mind is and to appreciate and work with this. These recipes are also easy to substitute so if I don't have all of the ingredients in the pantry I use her guides as to what else I can use instead. Plus the ingredients lists are manageable and usually once you've set up a 'healthy' pantry you'll have everything you need anyway! There is so much more that I have learnt from this book (and from Jessica!) but I would keep writing forever so I simply recommend you have a look for yourself! You can find Jessica at www.jessicasepel.com or on Instagram at @jshealth. 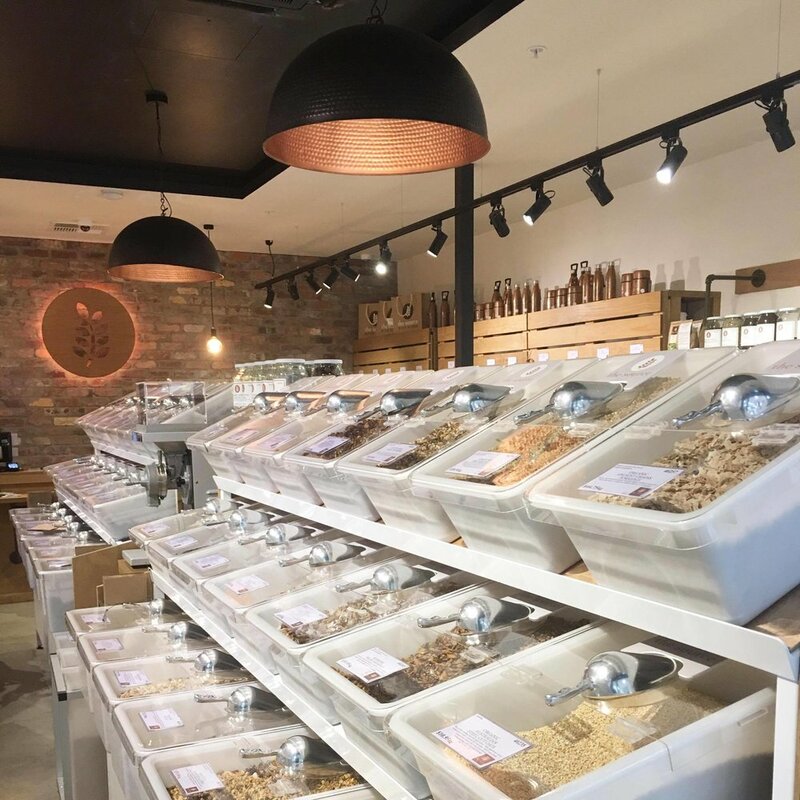 The main reason I like to shop at The Source Bulk Foods is because they have such a huge range of Australian products that are so hard to find, especially in larger quantities in main stream supermarkets. The Source was started by a couple in Byron Bay who had a passion for providing their local community with good quality, locally sourced produce. Once their store was busy and popular they expanded to provide bulk foods such as what you can now buy at the Vic Park store. As their business primarily focusses on selling unpackaged goods this has leant to a more affordable shopping experience for the everyday person which is really cool. Plastic free! You don't get the option to have your food in plastic or be given a plastic bag unless you take your own. They sell a huge range of jars, bottles and storage solutions. I buy my big bulk sized jars here and you can leave the store with them full of your selected product. You can also grab jar off the shelf and fill it up with nut butter or homemade kombucha from their taps too. It is bulk shopping. For things like flour, rolled oats and some nuts/seeds we really use a lot so it is great to be able to buy them in bulk. Their prices are competitive with main streams stores. I have not found the prices at The Source to be more expensive than buying these products elsewhere, so for Australian and Australian Certified Organic this is great quality. They also do regular specials where you can buy in bulk your favourite items on special. The reward program. If you sign up to their loyalty rewards, you can work towards 5% off future purchases and receive 1 loyalty point (worth 5c) for every $1 spent in store. You can redeem these points at any time to receive your discount off your next purchase. They provide seasonal nutritional advice and recipes in a free booklet that you can grab from the counter on your way out. The Source Bulk Foods that I visit is in Vic Park at the Park Centre Shopping Complex off Albany Highway, Vic Park. There currently are also The Source stores in Floreat and Clarkson, and a few new stores opening soon in Cottesloe, Fremantle, and Subiaco. The online store for information and purchases can be found at www.thesourcebulkfoods.com.au. For quite a few years I've been trying different natural or organic beauty products and thankfully because I have fairly normal skin most of the skin care ranges have been average to good without any major reasons for me to not use them except for price or convenience of purchase. My husband however has white sensitive skin so the biggest part of a product getting to stay in our house is if it doesn't just not aggravate his skin but actually helps to heal it. Hair products for me have been a different thing altogether! I've been having to undo many years of bad nutrition, over styling and bleaching when it comes to my hair so as I've been trying different natural products it has been very hard to find one that has not left my hair feeling like straw or frizzy and just average. So when I started using Doterra essential oils and I knew that Mel (Essential Mumma) had been using their hair care for a long time (and her hair is amazing!) i thought I would give it a go too! And I am loving them! Straight away I started noticing a difference in the look and feel of my hair, and because they are infused with essential oils you get all the added benefits of oils too. This also helps them smell amazing which is often a bit of a stretch for healthy products as they don't like to use fragrances and I just think they end up smelling 'healthy'. These products do have a longer list of ingredients than I would usually buy (I try and keep most of my products to a very limited ingredient list and only ones that I understand) however because of the amount of pure grade essential oils and other plant extracts in them I understand why the list is longer, thankfully with good things this time! It is indeed very refreshing in its smell! I like these products not just because of their wonderful natural powers from the essential oils but also because when I tack them onto my monthly Doterra order I accumulate points that I get to use either towards more of these body or spa products but also towards my essential oil collection! Win win! Please note: you don't have to be a Doterra essential oil user to buy these products! Send mel from Essential Mumma a quick email (her contact details are on the contact us page) and she will be able to help you order them without any obligations to signing up to anything. 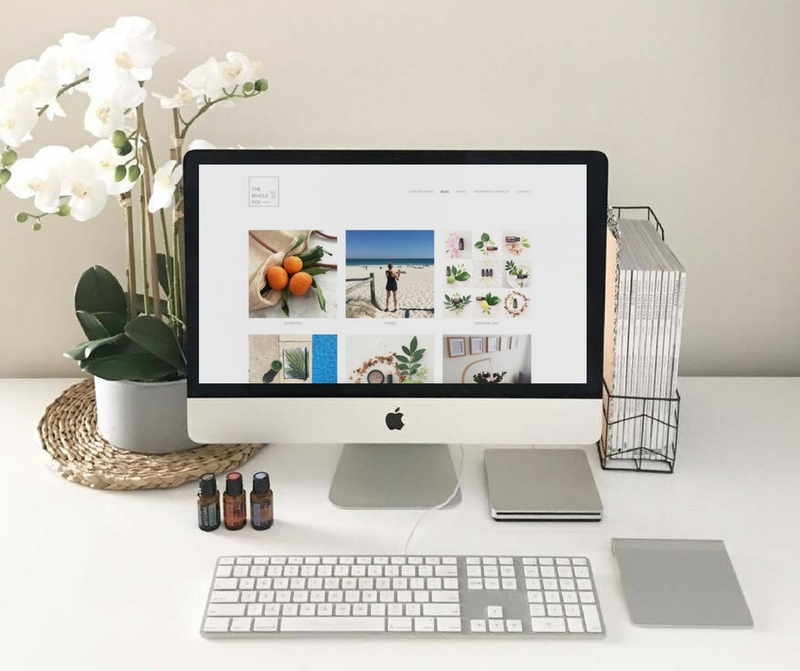 Here are a few websites, social media accounts and apps that are my absolute go-to's in researching, and staying inspired to live a healthy and whole life. I hope to keep this updated and if you know of any other great resources I would love to hear from you so I can have a look too! Much like Jessica Sepel's first book (The Healthy Life) her second, Living The Healthy Life is an absolute staple in our house. It can often be found open on our kitchen bench or on my bedside table, or outside on the couch, or inside on the couch, or in my bag when packing for holidays. This is again among the favourites for me and I just can't recommend it enough. If you like simplicity and are just looking for one good resource to guide you in health and nutrition-Jessica's books would be it! As her second book, it is quite different in it's format to her first but it is as equally if not more informative, inspiring and empowering once you've been through her first book. 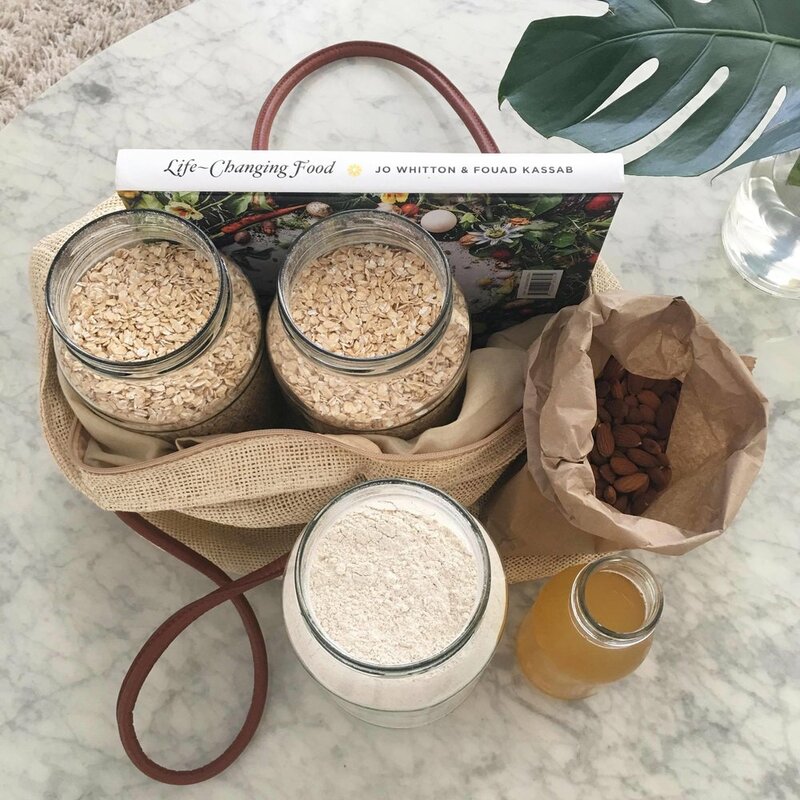 Living The Healthy Life focusses on a series of 8-week plans that will holistically guide you on a journey to healing in a variety of spaces such as sleep, nutrition, energy, emotions, gut health, thyroid function, lifestyle, relationships and more. Using her balanced and holistic approach to health and nutrition, Jessica teaches the basics of nutrition and self management specifically for those particular topics. As I have a general interest in health and nutrition I have found this book to be a brilliant resource for understanding a wide range of health issues that may often be healed through a clean and balanced approach, and the nutritional information required to assist in this process. It has taught me about to think and reflect on my struggle with food in the past and how to heal this and move forward. It has taught me how to recover long term from stress and adrenal fatigue of past busy seasons of life. It has taught me how to balance and increase my energy levels without caffeine. It has taught me how to quit feeling guilty around what I eat and drink. It has taught me to rest. It has taught me how food can heal and should heal things in life that I either think will just always be that way, or would seek medical advice over. It has taught me more about the nutritional value of specific food groups and how to incorporate or exclude them from my diet. Since this book has come out I have been a bit busier with toddler life so haven't tried as many new recipes as I would like but these few are ones that I have and they are as usual brilliant and trustworthy! Jessica has also recently released an 8-week online program that guides people through an introduction to her approach of health and nutrition, providing recipes, coaching and holistic lifestyle advice to help heal broken and unhealthy areas of their lives when it comes to health and nutrition. You can find Jessica online at www.jessicasepel.com or on Instagram at @jshealth. For first time parents, these books have been absolute life savers! We read the newborn book cover to cover before our first little one arrived and then basically used it every night for the first 4 weeks, and very regularly after that for the next 4-5 months! This is certainly a style of parenting, one that is structured and orderly so I appreciate not everyone goes for this however this has been a great blessing to our family! We are like to be organised, aware and appropriately prepared for things so for something that can seem so out of control, these books have helped us greatly. If anything, it gave us the confidence to love and nurture our very own little human, and the reminder than we were not alone and others had also been through it too! The Ezzo's have worked for decades with parents of infants and young children and we are so grateful for the incredible wisdom found in these books! This particular set of books is quite structured, however there are additional resources available by people who have taken the principles of these books and slightly adapted them to a more flexible approach. The best book example of this is 'Calm Baby, Confident Mum' I have also read this and learnt so much from the alternative point of view on this approach. Another book by the authors is 'Baby Wise' which is simply a smaller version of these books. What I also appreciate about these books is they track with you right through until pre kindy age (and then general age groups apply after this such as children, pre teens and teens) so all of the principles you learnt to apply to your family life continue and build on one another over the years. Preparation for Parenting is Book 1 of a series of books. The parents make the decisions as to what goes on in the house and the baby learns to fit in within this family unit. Mum feeds baby on a flexible schedule so as to ensure both baby and mum (plus everyone else in the house) gets adequate rest and has their needs met too. Baby is on a feed, then wake, then sleep cycle from the beginning and not fed on demand unless it is required during a growth spurt or illness. The general idea of this is that baby learns to eat once they wake up, have a happy and content awake time that is stimulating and driven by a nice full tummy (hence they are happy while awake) and then sleep, they learn to sleep because they are tired and have used energy rather than being fed to sleep. This cycle is very helpful at many times but means the baby can be easily looked after by people other than mum and dad (especially if they are breastfed) as they can be put to sleep without feeding, and the transition into solids and toddlerhood based on this cycle just makes sense. There are so many tips in this series to encouraging baby to self settle at sleep times, both for naps and night times and in general this has really helped us in our house hold! Baby is easy to put down at bed time, happy to be in the cot awake either on their way to sleep or when they wake early (and in the night!! ), and can re settle themselves (generally) when they do wake in the night. The book contains examples of flexible feeding schedules based on newborn nutritional studies which helps parents establish healthy feeding patterns for their newborns that evolve as the baby grows and their nutritional needs change (i.e. : require less feedings in a 24 hr period). Highlights roughly when to expect growth spurts and how to manage these from a flexible schedule and feeding perspective. This book provides very helpful advice as to when it is normal for a baby to cry and how to help them, and when it is not normal or healthy, and provides tips on how to help settle baby in these instances. It also includes empty growth charts for the first 4 weeks of babies life so you can (if you are that way inclined, like I was) to fill in when you fed and changed baby so as to track their feeding requirements and ensure they are receiving enough in a 24 hour period for the first few weeks. I showed this to the mid wife who came to visit and she was blown away but what a brilliant resource it is and that she'd never seen anything like it! When she asked how much baby was feeding/needing to be changed I simply showed her the chart and she was happy! We are so thankful for these resources and believe they really did take a lot of stress out of having a newborn in the house the first time around. We have re-read them in the preparation for our next little bundle and it has been a great reminder and boost to our confidence that we have what it takes to love, nature and include another one into our family!